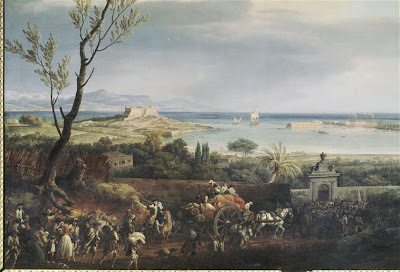 Interesting Vernet that shows a French force on the march laden with tents and equipment. 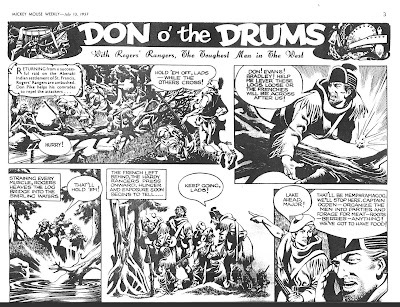 There - I found it - a photocopied sheet of the the strip produced by the British comic genius Ronald Embleton in the 50s based on Rogers' Rangers. 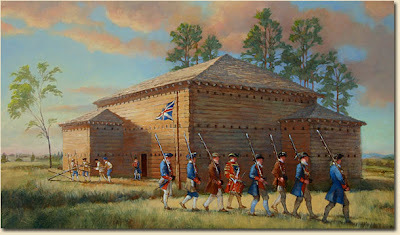 Situated in North Carolina this French and Indian fort's webpage is well worth a visit if you have an interest in some of the more obscure areas where the conflict was fought. 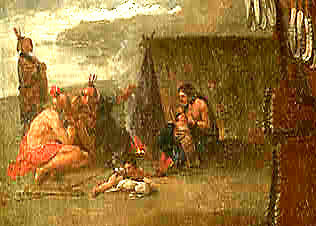 Cherokees attacked the fort in 1760. There's a lot of user-friendly stuff on this webpage so check it out. 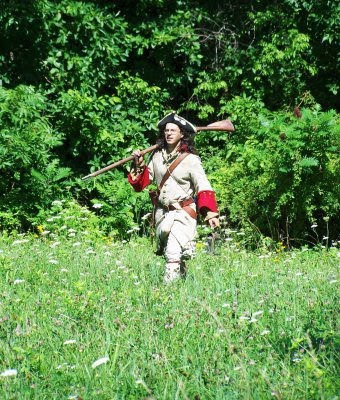 News article with photos on this weekend's reenactment battle taking place near Elmira NY. Back in the 90s it wasn't so easy to get French equipment - now it is relatively cheap to get these items - why not get one yourself? 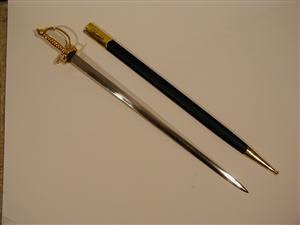 This is a copy of the standard infantry sword of the French - this version is a mere $75 dollars from this company - I think for that price we should all get one - you never know when you might need a replica small sword. Actually I think French scabbards were red (roussli) leather - the same colour as their cartridge boxes (a wine red colour) but I am not sure. G Gedney Godwin do one with a red scabbard but it's $215. 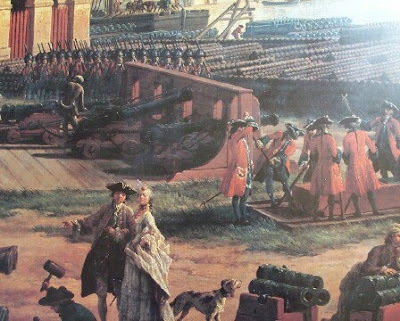 Incidentally French belts were a yellow leather - the colour of buff coats - a mustardy yellow. Here you can seen the set-up inside a French tent - notice the feet are put in the backpack - see below. 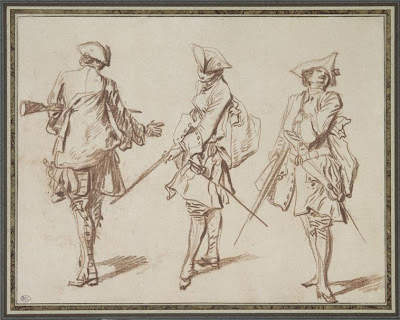 This study by Watteau from around the 1720s show the sac in use. It was waterproofed with linseed oil which gave it a light brown colour. These packs were generally laid aside for battles with a small contingent to guard them. If you have an interest in the French army and you haven't been to this site you are in for a treat. All manner of ordonnances, regulations, drill, uniform research and so on from the late 17thc up to Seven Years War on the French army. 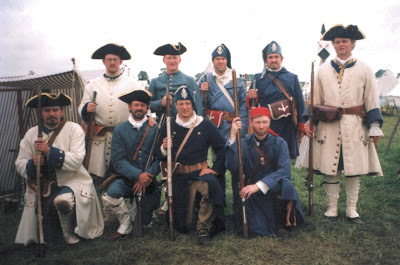 Patrice is a reenactor of the Royal Ecossais but also used to produce some excellent figures for the Fontenoy era, which sadly don't seem to be available any more. 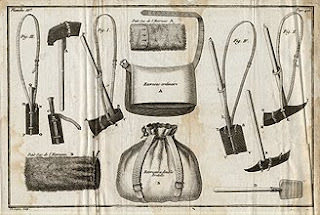 There's all manner of gems to be found there - the illustrations from Institutions militaires pour la cavalerie et les dragons par M. de la Porterie show French equipment and tents of the period - ideal for reenactors of the French Royal army everywhere. Recommended. 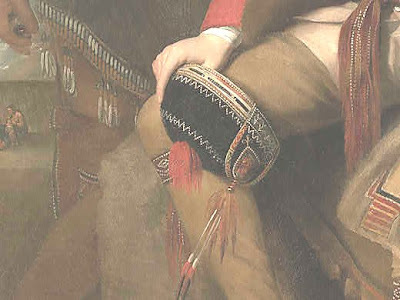 A regiment associated with Michilimackinac is the King's 8th and from that I thought it might be worth featuring this famous painting of the regiment's Lieutenant-colonel in the clothing of an Ojibwe chief. Descriptions and photos of the artefacts seen in the painting are here. This is a promo film for the reconstructed fort and trading post. It's the kind of place we Europeans imagine when we think of a colonial fort - a log stockade that sort of thing. 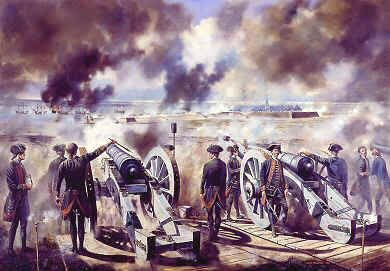 It started life around 1715 when it was a French fort that went under British control after the SYW. It was abandoned in favour of a stone fort in 1781. 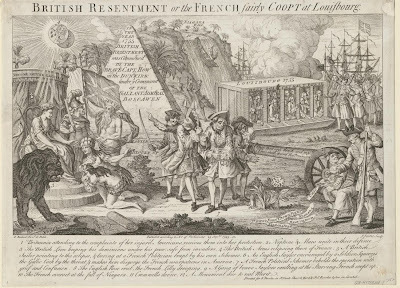 Later on this interesting political cartoon dealt with the French at Louisbourg - note the redcoats and sailors depicted on the right. 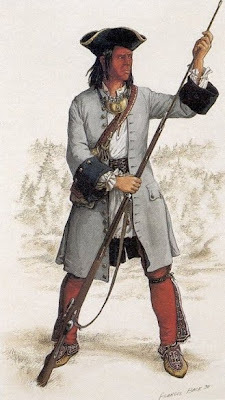 Picture of a Micmac chief in a French Marine coat by Francis Back from here, where there is more on the siege. 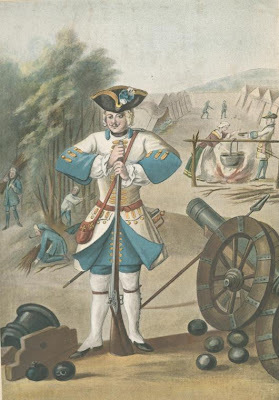 Micmacs were very much linked to French fortunes at Louisbourg - hundreds of them were involved in the defence of the fortress. Excellent articles and documents at this site - a most comprehensive site that forms part of a book The Lion and the Lily. 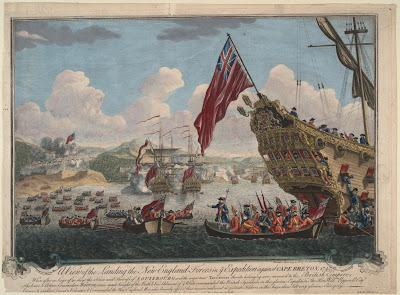 While in the company of Mssrs Shirley and Pepperell I thought it might be interesting to look at their moment of glory, the Siege of Louisbourg. 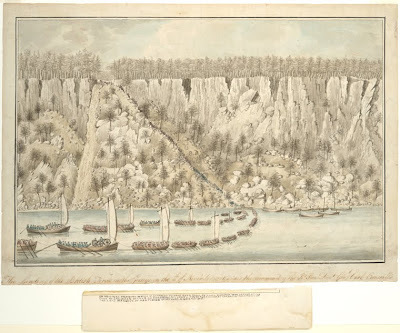 (Plate 'Massachussets officers at the siege' from the Company of Military Historians). Something well worth reading is this excellent article on this siege - by B A Balcolm. 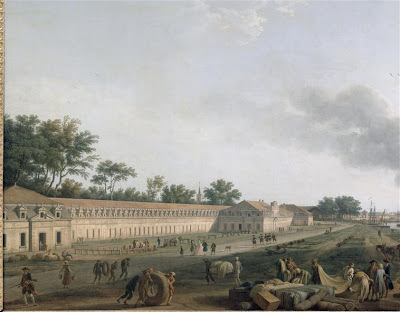 Also included here is this great collection of images of the fortress itself including the animators and interiors - a real slice of life circa 1744. Louisbourg must be the world's largest historical reconstruction project. Interesting article by R Chartrand on the campaign against this well established French fort. 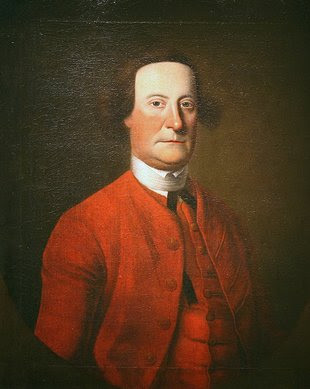 I don't know why John Bradstreet isn't more famous - he was certainly one of the best colonial leaders of the period with an impressive pedigree of achievements. He will always be associated with bateaux but he did much more in a war often populated with incompetents. 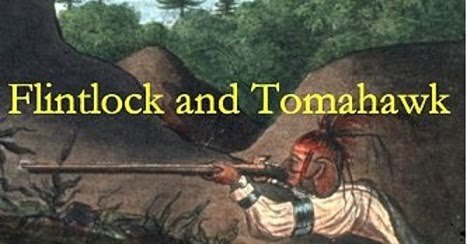 This is an excellent article on New England Regulars and the Fall of Oswego, 1755–1756 by Peter Way telling the story of some of the soldiers of Shirley's and Pepperell's Regiments (see pic below) and their fate - well worth a read if you have an interest in the details of colonial military life. 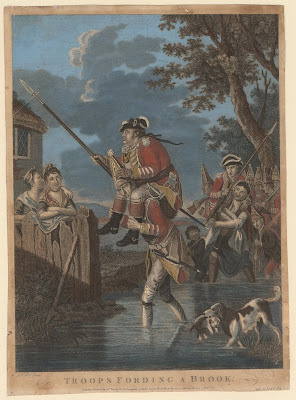 There seems to be some doubt whether this song is actually from the Seven Years War or later in the 1770s when it is first recorded - it's possible author Ned Botwood was supposedly a Grenadier in the 47th foot but there seems some doubt about that too. Anyway it's a great song that refers to the fact that the 47th (Lascelles) were issued with uniforms intended for Shirley's regiment - the 50th (see pic) who went into captivity along with the 51st. Pay your debts at the tavern by giving leg-bail. Wolfe commands us, boys; we shall give them Hot Stuff! To the Grenadier's March, we will teach them to dance. At their capitol, to give them, another black eye. Those are coming who know how to give you Hot Stuff! Monsieur will run down, our descent to oppose. Will soon oblige them to take to a tree. From such rascals as these, shall we fear a rebuff? Advance, Grenadiers! And let fly your Hot Stuff! Say Montcalm, "Those are Shirley's - I know their lapels." "You lie!" says Ned Botwood, "We are with Lascelles." puff, So at you! Ye bastards! Here's give you Hot Stuff! I think we shall soon have the town about their ears. If you please, Madame Abbess, a word with your nuns. And then, never fear, we shall give them Hot Stuff! What can you say about this painting by Benjamin West? Guy Johnson biography is here he was an Indian Department official. 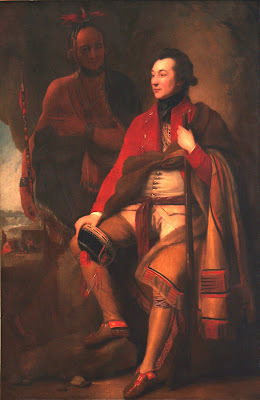 'David Hill' was a Mohawk leader - a contemporary of Brant. It's not known if he visited London as Brant did and was captured on canvas then. 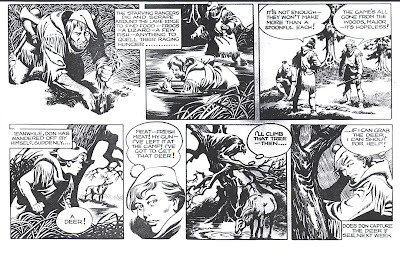 I've lightened a few sections to show the detail which is fascinating. 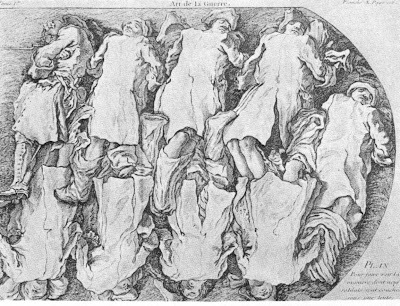 Note the cap - a studio prop as seen on many paintings of West such as the Death of Wolfe and even the picture of Robert Rogers executed about this time in London. Presumably we can at least consider this headgear as worn in the 1770s. 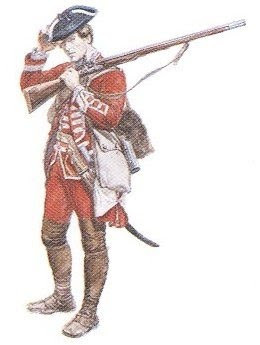 Maybe it's the type of headgear worn by Loyalists such as the King's Royal Yorkers - see below. 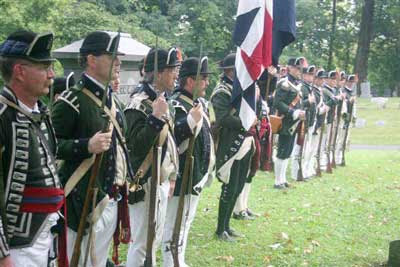 Judging by their newsletter the loyalist King's Royal Yorkers are one of the groups you'll see at Newtown (see below). This regiment have an impressive history and their research is impeccable. I gather that one of their members is Gavin Watts who is probably the author to consult on the Revolution in this area. His book 'The Burning of the Valleys' is one of my favourite books on the period in this neck of the woods. Wiki on the battle here. 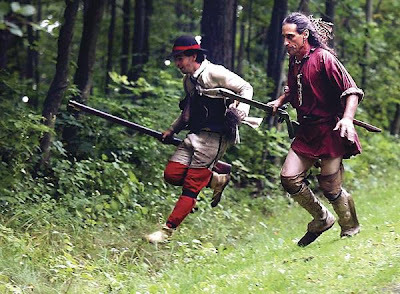 If you have a taste for exploring the world of the American Revolution and how it impacted on the Iroquois then this weekend's (August 29th and 30th) event - the Battle of Newtown could be just up your street - if you live near Elmira NY that is. There is a 1779 Native American Village at the site so plenty to take photographs of. 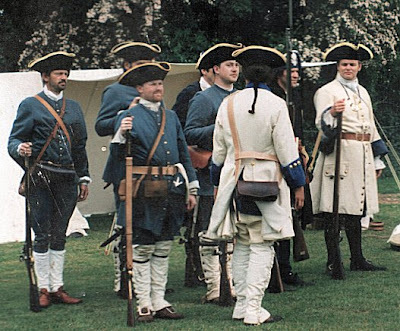 Looks like you have an option of taking part in a 'guided woods walk' where you are taken through the reenactment action - this is something we considered for events over here...an interesting perspective. 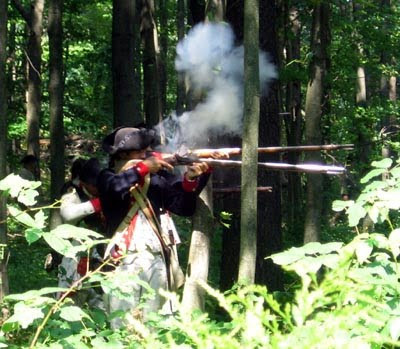 Accounts of the battle of Newtown. 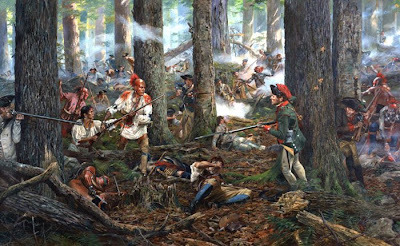 This battle - part of a side campaign known as 'the St. Leger campaign' away from the Saratoga expedition is an interesting event in that it had Iroquois fighting on both sides something that was against the fundamentals of the confederacy. I partly like it as it's also the battle that's fought 'off-stage' in the film Drums Along the Mohawk - you see the aftermath though not the action itself. This image is by Don Troiani (print available here). If you enlarge it you may notice the incident depicts Two Kettles Together loading a musket for her wounded husband Honyere Tehawenkarogwen 'he who takes up the snowshoe'. 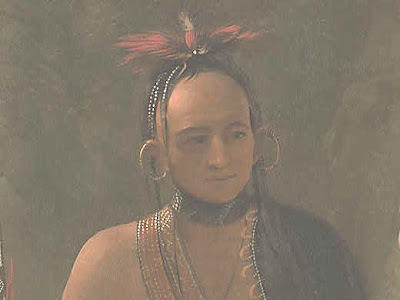 More information on this from an Oneida perspective here in Oneida Hanyery vs. Joseph Brant. I've always had trouble with the Revwar - so vast a subject - best way is to break it down to bite-sized portions and so I have concentrated on the parts that I like and the Saratoga campaign is one of my favourites and thanks to the Perry Miniatures (28mm) there are now figures to do it justice. 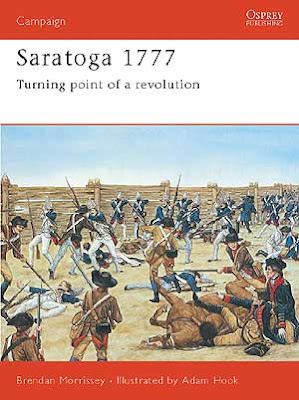 Also on the site is some articles on the Saratoga troops to save you money on books that you will find are out of date. A good general book is the Osprey campaign series book on the battles. 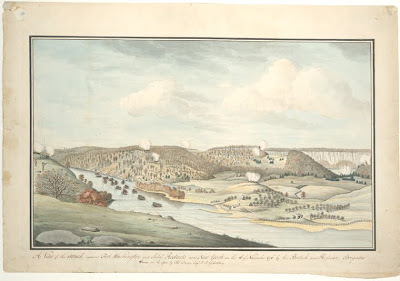 Talking about the American Revolution one of my favourite sites is this one - full of information and insight into the formation that was a major part of the Saratoga campaign. 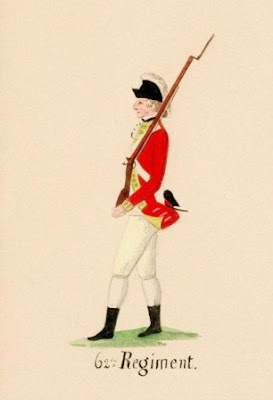 The redcoats and artillery of this expedition wore a specially adapted uniform (see pic). Those of you following the blog closely will note that the 62nd were last mentioned here in the defence of Carrickfergus in 1760. 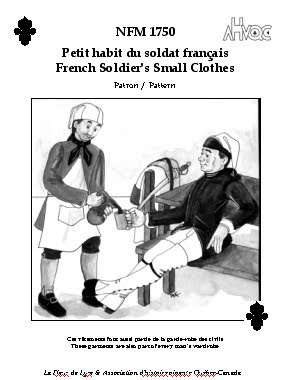 If you have any kind of interest in the clothing of New France then you must visit this site by Suzanne Gousse. The photo album has a lot of her work over the years and it is all first class tailoring and research. She sells the patterns through folks like Smoke and Fire (see below) but I still think you can learn a lot from this webpage. 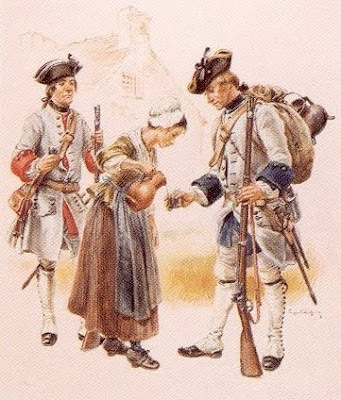 Books are also worth a look - they have one that looks good Re-enactors Guide to the French Army, 1755-1760. Volume 1 and 2. So you need patterns for your French regiment - then I recommend these from Suzanne Gousse available from the Smoke & Fire co. Also noticed among the new items they are now stocking this buckle which looks to me the correct one for French SYW - there's one on the waistbelt, the cartridge box and on the backpack but they don't cost the earth. 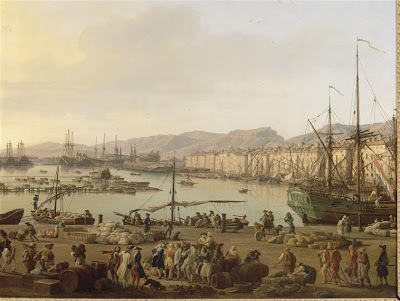 If you are more interested in the depiction of British redcoats than stuff about the French then maybe I can interest you in these images by John Collet (c1725-80). 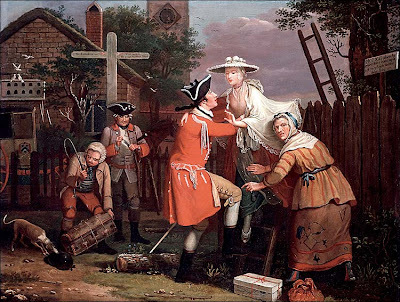 He's in the tradition of Hogarth and his pictures are quite amusing giving a slice of life at the time. The first image is from 1772. 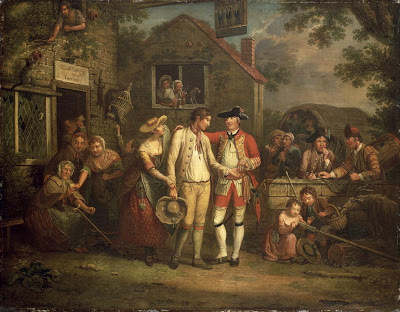 The second image is called the Elopement (1764), the third The Recruiting Sergeant (1767). This fatigue cap is the sort of thing you won't find in any regulations or ordnances so we have to look at period illustrations in order to reconstruct it accurately. 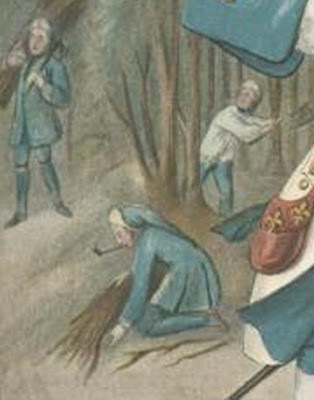 This image of the Regiment du Roi that has some soldiers foraging firewood in the background shows one clearly. 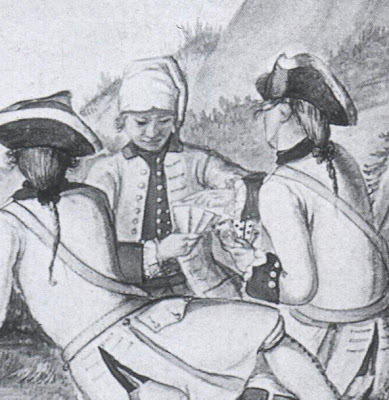 B/W picture is the Regiment de Conti 1757 showing the bonnet with the flap turned down. A Scotsman, a Jacobite in the '45 and then fighting on the French side in the conquest of Canada sounds like a plot from an implausible historical novel but that's what the Chevalier de Johnstone's life was like - and he wrote his memoirs and they are online to read. What a great invention the internet is. Biography of de Johnstone. 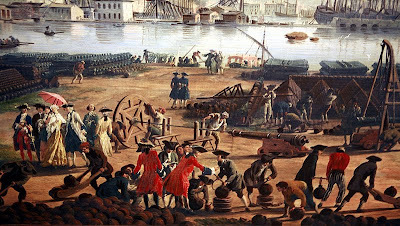 I there enjoyed a true and perfect satisfaction from the esteem and friendship of all my comrades, which was not an easy matter to secure, for the corps of the Royal Isle, composed of more than a hundred officers, was divided into three factions, the ancients of the country ; those who had come from Canada, and the reformed officers of France, who had their settlement at Louisbourg, and all these three mutually detested each other, and were continually quarrelling; but having entered the corps by declaring that I would not enter into their cabals, which did not mix me up, in any degree, in their disputes and animosities, so that I chose my friends on the whole where I found them to my taste, only taking my part to defend myself against those who wished to insult me, or who sought to embroil me in a quarrel ; thus by the strict neutrality, which I always observed, I had always the good-will of every one, and I heard the horrors which these officers, eternally in discord, came to tell me daily, the one against the other, without ever having a bias for one side or another, hearing them without answering them. 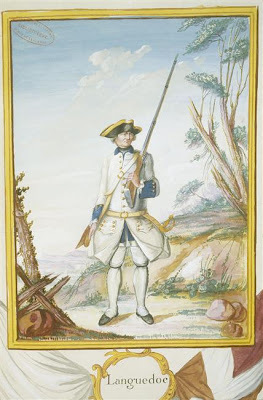 I've been thinking quite a bit about the French and Indian war since I started this blog - which I haven't done for a while and now I am fancying getting back into F&I reenactment. 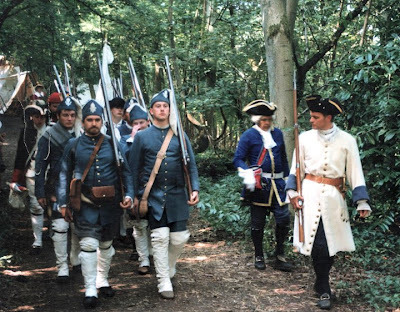 These images are all from the 90s when I used to run the Troupes de Marin - a Colony regular group that is still going strong in the UK if you have the inspiration to get involved - see the New France and Old England website for contact details. As you can see it's quite a flexible subject with all manner of options depending on conditions. Derbyshire Historic Arms has some nice French muskets available in the UK.We used to hire a wood in Wales for our non-public skirmishes...(the top pic is from there). Good times.